A high performance carbon block purifier is the predictable end result of combining comprehensive product planning, proven production methods, and effective quality control throughout the manufacturing process. Carbon Block Technology, Inc. (CB Tech) consistently produces the highest performing solid carbon block purifiers available in the market today. Such consistency is a direct result of the company’s tightly controlled product manufacturing process and the quality assurance (QA) protocol followed from beginning to end. Creating a comprehensive Control Plan defining manufacturing parameters, key control points, and QA sampling plan. Specifying, obtaining and verifying optimal raw materials to achieve product design goals. Reliably producing and packaging carbon block filters with consistent performance. The final product is a carbon water purifier with superior filtration properties as evidenced by the actual effectiveness of the filter in contaminant removal compared to competitive products. This solution guide outlines the QA protocol that CB Tech follows to ensure final product quality. Finished product specifications – The exact final product requirements provided by the Buyer are documented, and they include, at a minimum, filter dimensions, capacity, and specific contaminant removal capabilities. Test/evaluation method – At each step in the production process, the product attributes that will be evaluated are defined as well as the types of tests that will be employed to measure results. Specification limits – The allowable tolerances are documented to ensure that the final product remains within design specifications at each step of the process. Control location – The precise location within the production facility at which each test will occur is documented. Sampling plan – A statistical sample size is determined based upon production variables to ensure that a representative sample is obtained at each step in production. Packaging – Once the product is complete, the finished product is packed for shipment per the Buyer’s instructions, and those instructions are included in the Control Plan. The final product is etched with the traceable lot code identified in the Control Plan, and final shipping instructions are notated. The Control Plan ensures that the carbon water filter system ordered by the Buyer is clearly documented and monitored, and it provides a “road map” for each filter as it progresses through the manufacturing process. One of the most critical elements in producing high quality carbon block purifiers is the raw materials that are utilized in producing the product, most notably the activated charcoal, but also binders and additives. CB Tech has been manufacturing carbon water purifiers since 1975, and the company has learned a great deal about the performance characteristics of available materials. 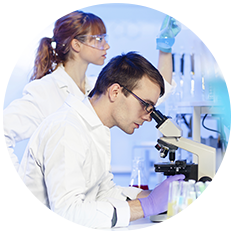 The company employs a staff research scientist to constantly evaluate sources of raw materials and to tune product formulas to capitalize on new findings. CB Tech maintains a rich computer database of raw material information. As new information is obtained through suppliers, materials testing results, and independent research, it is captured in the database for future reference. Carbon block formulations for individual Buyers draw from this raw material database and allow CB Tech to optimize raw material selection for the specific filtration challenge identified by the Buyer. CB Tech employs a carbon block manufacturing process utilizing a compression molding technique, as opposed to extrusion. CB Tech’s compression molding method provides a more consistent distribution of ingredients throughout the carbon block product that maximizes the materials’ efficiency as filtration media. In addition, special binders and additives give CB Tech products a performance edge over competitive products, as these materials are carefully selected to minimize masking of the activated carbon’s inherent porosity. CB Tech’s research team constantly is evaluating new raw materials that allow the company to continually perfect its proprietary production processes to produce a better carbon water filter system. It is the optimal selection and verification of raw materials, and specifically measuring and quantifying the raw material performance characteristics for each manufacturing project, which ensures the quality of the CB Tech end product. Unless the raw material meets the stringent specifications documented in the Control Plan, CB Tech will delay start of production until the preferred materials are obtained in sufficient quantity to complete the production run. With a detailed Control Plan in place and the optimal raw materials in hand, CB Tech begins the carbon block production process. CB Tech has refined its unique manufacturing processes over many years, with a constant focus on final product quality rather than production speed. The compression molding process employed is more labor intensive than extrusion-based processes, but this difference actually lends itself to tighter quality control through more frequent opportunities for inspection. At each step in production, the Control Plan is consulted and updated. At each control point the required inspection and/or measurement is taken and documented. Carbon blocks are not permitted to move to the next step in the production process until the products meet the stringent objectives outlined in the Control Plan. At the end of production, the completed product is approved for shipment by a production executive and a certificate of compliance is prepared and provided to the Buyer before the products are shipped. The company’s long list of repeat customers, with some relationships extending more than 20 years, is testament to the quality and consistency of CB Tech’s manufacturing capabilities. The true measure of product quality is performance. CB Tech’s research team conducts extensive product testing in the company’s in-house laboratory to ensure that finished products meet or exceed all performance claims. The company is very careful not to overstate the product’s performance in any way, as the integrity of CB Tech’s performance claims and the company’s outstanding reputation within the water treatment industry are taken very seriously and zealously protected. But beyond the company’s internal testing, the most reliable source of product performance validation is external testing by independent third-party laboratories. CB Tech relies upon NSF International (NSF) to test the company’s CB Tech brand products and to validate actual product performance. NSF is the leading global, independent third-party certification and testing organization for products that affect water quality and food safety. 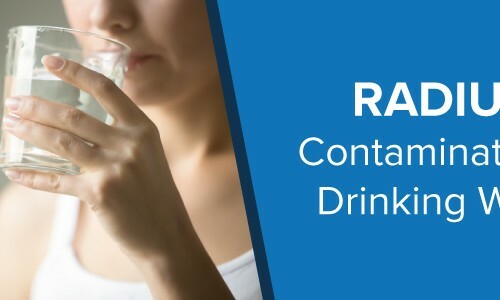 NSF, working with the U.S. Environmental Protection Agency (EPA) and the American National Standards Institute (ANSI), literally sets the performance standard for water filtration products. The manufacturing process remains consistent. Performance validation through independent testing demonstrates CB Tech’s commitment to quality. 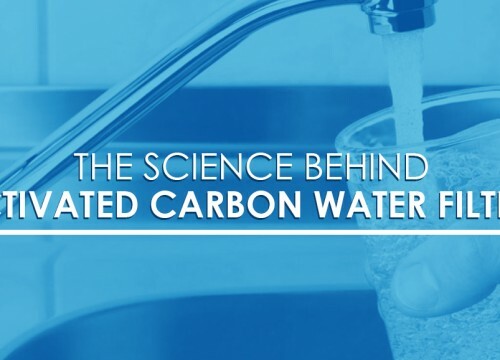 The company takes pride in helping Buyers tackle the tough water filtration challenges that are best addressed with solid carbon block purifier technology. Consistently focusing on the end result, a satisfied repeat Buyer that understands and values performance. Flexible custom contract manufacturing capabilities, combined with a staunch commitment to product quality, make CB Tech a solid business partner that is committed to excellence.